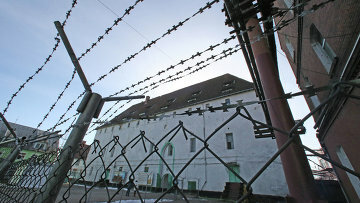 Convicts may have terms reduced for hard work in prison | Russian Legal Information Agency (RAPSI). MOSCOW, March 26 - RAPSI. Federation Council member Konstantin Surkov has sponsored a bill to State Duma which proposes to give convicts a chance to reduce their sentences by working hard in prison, Rossiyskaya Gazeta writes on Tuesday. According to the bill, a prisoner who has demonstrated good conduct, hard work and has never been issued a reprimand can have his or her term reduced. To do so, the prison administration will have to request a recalculation of the convict's term from a court by counting two days of good work for three days of imprisonment. However, an inmate of a general regime prison cannot be released without serving a minimum of six months. In a high security prison, the minimum term to be served will be ten months. Standard regime penal colonies are for individuals convicted of minor offences. Men and women are kept separately - i.e. in men's or women's colonies. Colonies with a strict regime are for first-time offenders sentenced for especially grave crimes and for repeat offenders. High-security penal colonies are for especially dangerous recidivists, individuals serving life sentences, and prisoners whose death sentence was commuted to life imprisonment or a long prison term in the 1990s. This allowance for good work will not be available for prisoners convicted of repeated violent crimes, convicts serving life sentences, prisoners convicted for sexual abuse of a minor or for a serious drug related crime. Prison managers will be able to request sentence reductions from court once a year, after a convict's annual appraisal. The state penitentiary service is also planning to review the system of wages for prison laborers, Rossiyskaya Gazeta wrote earlier. Currently their pay remains very low. 11:53 26/03/2013 Federation Council member Konstantin Surkov has sponsored a bill to State Duma which proposes to give convicts a chance to reduce their sentences by working hard in prison. According to the bill, a prisoner who has demonstrated good conduct, hard work and has never been issued a reprimand can have his or her term reduced.